“Good evening. This is 60 Minutes.” That’s how Harry Reasoner opened the very first episode of 60 Minutes on a Tuesday evening back in September of 1968. By CBS News’ own admission, the initial reviews of the broadcast were mixed, with Daily Variety proclaiming the program would “have to do better.” Now 50 years, 20 Peabody Awards and 145 News and Documentary Emmy honors later, it is one of the most successful programs in television history. 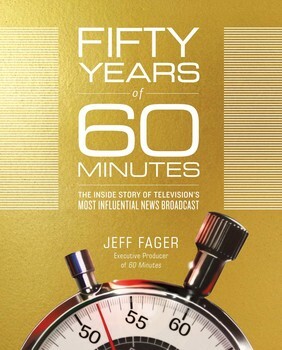 On Tuesday, March 27, 60 Minutes Executive Producer Jeff Fager, who tutored under the show’s legendary creator Don Hewitt before succeeding him in 2004, will headline a special event in the National Press Club’s Ballroom to discuss the history and future of the pioneering program, as well as the art of investigative reporting. Fager will be joined by 60 Minutes Correspondent Bill Whitaker, who joined the broadcast in 2014. The event will begin at 7:30 p.m., and will include a discussion moderated by former CBS Radio Network News General Manager and NPC Board Member Michael Freedman, an audience question-and-answer session, and a post-program reception where attendees will have an opportunity to partake in a book sale and signing of Fager’s 50 Years of 60 Minutes: The Inside Story of Television’s Most Influential News Broadcast. REGISTER: Admission is free for Wharton Club President's Club & Lifetime members and $10/person for other members.